Select 4 large wine glasses or serving bowls for parfaits. Combine the apple and grapes in a small bowl. 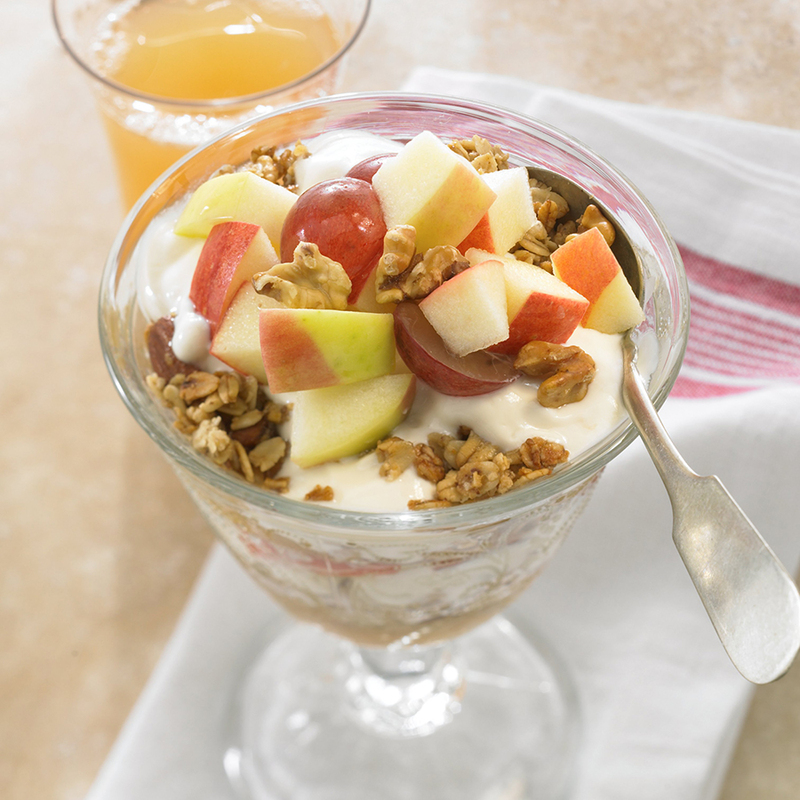 Layer 1/4 cup applesauce, 1/4 granola and 2 tbsp yogurt in each serving glass. Add fresh fruit, about 1/3 cup per serving. Repeat layers of applesauce, granola and yogurt. Sprinkle each serving with 1 tbsp toasted walnuts.